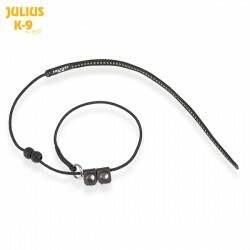 Width: 6 mm Lenght: 10 m The tracking leash was made of a light rope with smooth surface, so it’s safe and comfortable both for the dog and the handler. Extremely strong and slightly slippery - this helps to avoid inextricable knots. Width: 4 mm Lenght: 10 m Due to it's special material this leash floats on the water. It's long enough to let the dog swim, but gives security, control and permanent connection between the owner and the dog. It's vivid color gives great visibility. 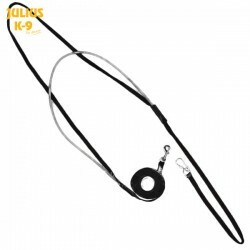 Width: 25 mm Lenght: 2.2 m The Y-leash is an equipment for police service dogs, but is also useful for teaching shy or panicing dogs to walk in traffic. 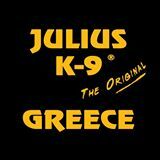 You can attach the leash to two points at the same time (two different collars, or a collar and a harness), so the dog is in perfect safe.